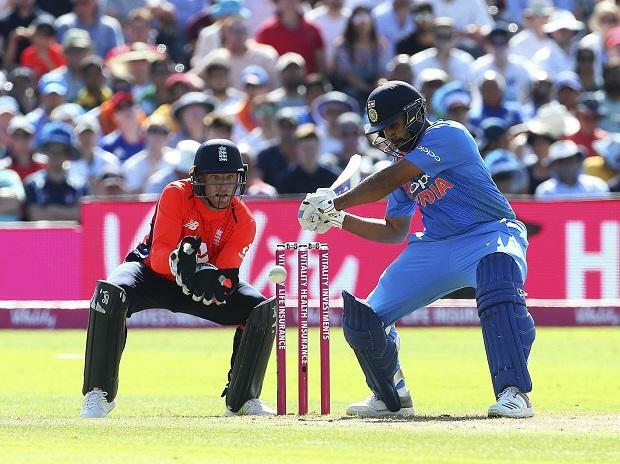 Vice-captain Rohit Sharma Thursday said India's World Cup squad is more or less settled but nobody should take his place for granted as poor form could lead to omissions. Rohit said there could be one or two changes in the squad, which will take on Australia and New Zealand in upcoming ODI series, depending on poor form and injury in the coming months. "The squad that plays these 13 ODIs is more or less the same squad that will go to the World Cup. There will be one or two changes, keeping in mind the form and injury concerns over the next few months," Rohit said ahead of India's first ODI against Australia here on Saturday. "We played a lot of cricket throughout the year, so injuries are bound to happen. And there will be some concerns about form and fitness. I don't see there will be any drastic changes to the squad," he added. Talking about the slots in the playing eleven, he said, "...more or less, the slots are pretty much taken by individuals But having said that, I feel everything will depend on the form of each player. Nobody is guaranteed that flight to England as yet. "I would not say every individual that is going to be part of the next few series would be playing the World Cup. You have got to perform. But there won't be drastic changes," said the stylish top-order batsman. The World Cup starts on May 30 in England. India last played ODIs in Australia in 2016, and lost the five-match series 1-4. Their top-order comprising Rohit, Shikhar Dhawan and Virat Kohli had excelled back then too, but the middle order did not support them enough. Rohit was confident that those shortcomings have been overcome especially in preparation for the World Cup. "It's not about one or two individuals, it's about 11 of us contributing, including the 7 or 8 batters that will be playing. Individuals may win one or two games but to win the championship, the batting unit needs to come together and at some stage put their hands up and say 'I'm going to take that challenge and make the team get through the finishing line. "There will be times when your top-order fails and the middle-order has to take the responsibility and they know that. I think they have done that in the last series we have played, in the Asia Cup, and also against the West Indies in India," he added. Talking about individual players, he said, "We saw Ambati Rayudu coming pretty good in the last series we played in India. Dinesh Karthik has done reasonably well. MS Dhoni obviously is the key factor going forward. Then there's Kedar Jadhav who brings so much to the table with his bowling, and with his ability to strike the ball at the end. "All these guys are very important, and not to forget Hardik Pandya and Ravindra Jadeja who will be playing a crucial role with the bat. That finishing touch is very, very important in this format." Australia will be missing the services of Mitchell Starc, Josh Hazlewood and Pat Cummins in the ODI series but Rohit said, like in 2016, the home side still has good enough bowlers to pose problems to Indian batsmen in their absence. "These three guys don't play too much of ODI cricket if I am not wrong. The last time we came here (2016) none of these guys played and we were still beaten 1-4, so they still have quality in their attack. It's not going to be an easy walk over situation for us. We have to grind it out there, face the challenge and make sure that we put them under pressure." Rohit was part of the Adelaide and Melbourne Test, while missing the Perth match owing to injury before flying home to attend the birth of his daughter. In doing so, he missed the Sydney Test but returned in time for celebrations with the team which clinched a maiden series win on Australian soil. He said India did the small things right to win the Test series 2-1. "If you want to win a series, you can't just look at the larger picture. You have got to focus on the smaller picture first and take one game at a time, one single moment at a time. He has been an important part of India's ODI plans, but Rohit said Test cricket remains important to him despite another year of missed chances. "Test cricket will always remain an ultimate challenge, an ultimate goal for me. To miss out in Perth and Sydney was disappointing but the circumstances in which I missed the last Test was something different. "I want to stake a claim and cement my place. When I get an opportunity, I need to give it my best shot.